Architectural Press Library of Design and Detailing: Acoustic Design focuses on the techniques and principles employed in acoustic design, as well as room acoustics, hearing, speech, sound insulation, and noise control and design. The book first elaborates on the perception of sound, properties of sound, and sound in the built form. Concerns cover sound absorption, room acoustics, sound insulation, physical data, units and measurement, sound at a point, and hearing and speech. The manuscript then takes a look at noise control and design. Topics include prediction and prescription, control at source, control in the sound path, building types, and building elements. 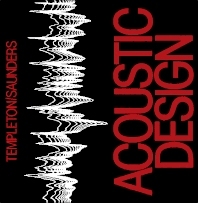 The text is a valuable source of information for researchers interested in acoustic design.